Mayor of Moga city files FIR. Hundreds of AADHAAR cards made based on FORGED documents. 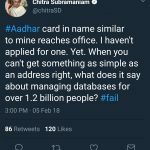 - Aadhaar FAIL! Mayor of Moga city files FIR. Hundreds of AADHAAR cards made based on FORGED documents. AADHAAR is only as secure as its weakest link – which could literally be any document. Read on to find out more. According to The Tribunes latest report, a senior police official said three persons had been booked on the allegations of making fake domicile and residence certificates of hundreds of people to help them get Aadhaar cards by forging the signatures of Akshit Jain, the Mayor of Moga city. The FIR , filed by the Mayor of Moga city, Mr. Akshit Jain was filed against Gurpreet Singh, an employee of the Sewa Kendra along with Devinder Singh and Pardeep Kaur. The whereabouts of all three of them are yet to be ascertained. So the modus operandi worked something like this. Lets say Person “A” wanted an aadhaar card but did not have an address proof to get one. The accused would charge a heavy amount from person “A” , then use fake stamps and letter pads of Akshit Jain to make domicile and residence certificates of the applicants. Person “A” now has a valid address proof. He then takes this to the aadhaar enrollment centre and voila! – gets an AADHAAR card. The reason this works is because there is no way for UIDAI to confirm if the documents submitted are fake or original. Its like getting a SIM card based on a forged document- say a fake drivers license or a ration card. Its not like getting a passport where the police comes to your house for address verification. All you need to do is present a fake document and tell the enrollment agency you live there! The police believes the number of AADHAAR cards based on forged documents could be in the hundreds. This comes at a time when the CEO of UIDAI has just finished presenting a PPT to the Supreme Court of India claiming how “fool proof” the UIDAI is. 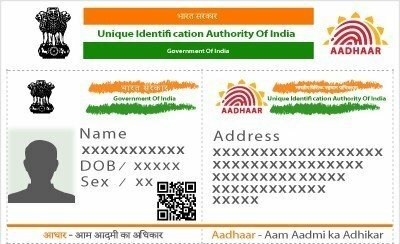 AADHAAR is only as secure as its weakest link – which could literally be any document.